Why Would You Want To Find An Alternative To Articulate Storyline 3? When it comes to e-learning, Articulate Storyline 3 is still a big name in the industry at present time. However, many users are still looking for an alternative as it is too pricey – $1398 per license, for small business and start up. Added to that, the company is paying too much attention on the all-in-one application, Articulate 360, which was released last year. If you are a subscriber of Articulate YouTube channel, you’ll easily recognize that the company stopped publishing new tutorial videos about Storyline 3 about 1 year ago. It seems that Articulate Storyline 3 will sooner or later disappear on the market because of the overwhelming priority that Articulate gives to their all-in-one application. We are not 100% sure about this judgment as there isn’t any piece of official information from the company about this issue yet. By the way, it’s great to have a backup solution, right? In this article, we’ll consider ActivePresenter as the best alternative to Articulate Storyline 3. To give you better understanding about this software, please take a look at below video. In order to learn more about ActivePresenter, we highly suggest you read carefully our detail review of this program. To see if it is suitable for you or not, you’ll have to find the answer yourself. To download the program, click here! Below is the recap of what we’ve written. First off, ActivePresenter is completely free and safe to use without any limitation. The seller does not commit to provide any technical support to free users. However, what we’ve seen on their support community, it’s not exactly true. Every technical issue you send to the community get replied within an hour or two. Most answers are direct to the point. You can get your problems solved without struggling. They do have a YouTube channel with plethora of tutorials to teach you how to use the product correctly. If you don’t know about any feature, just go to YouTube and do a quick search. It’s always there. ActivePresenter’s blog is also a place where you can read hundreds of valuable posts about screencasting tips, elearning or video editing tutorials. Most of their posts are related to their product only. There are many great articles that you can follow up. For example, this post: Learn how to record screen in Windows 10. When using a software, especially such feature-rich program, bugs are the issues you face with very often. No one in the world can commit that their software will not meet crash or not responding issue as there are thousands of potential unknown reasons. ActivePresenter has the same story in this case. Luckily, they are very active in fixing bugs and updating new features to the programs. When using the program, you should always check for the update every week in the Help tab. High quality screen recorder to record your screen in full screen, fixed area, a locked application with your narration and webcam. Professional video editor with dozen of annotation tools to polish your recording. You can cut, trim, crop, split, merge videos, add animated texts to video, add transitions, spotlight and highlight effects to video, add closed captions, blur moving object, zoom and pan, picture in picture, Text-to-speech and so on. Various type of interactivity and quizzes for tracking learner progress. Preview and export project into HTML5. It supports SCORM and xAPI Tin Can. Beside ActivePresenter free edition, if you consider to purchase the program for commercial use, we can say that this is the most cost-effective and affordable program on the market now. With the same amount of money, you can’t purchase any other similar all-in-one program like this for sure. In E-learning world, the closest tool we’ve reviewed, iSpring Suite cost $740 per license. 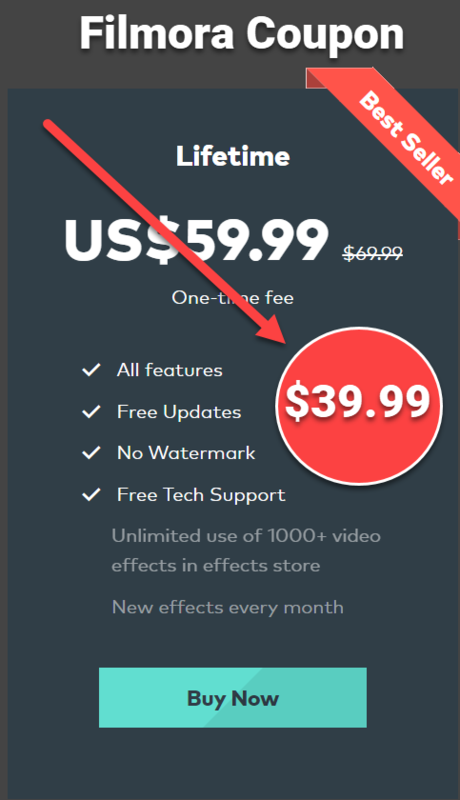 Added to that, ActivePresenter license price is perpetual license. You only need to pay 1 time and use for life. It’s very much different with yearly subscription plan. ActivePresenter Presenter Standard: $199/ lifetime. ActivePresenter Professional Edition: $399/ lifetime. If you need any further assistant about this software, don’t hesitate to ask any time. Don’t forget to follow us to receive more valuable post notifications in the future.